Lumira invests in companies developing innovative biotherapeutics, medical technologies and consumer health solutions. We are proud to have partnered with so many successful companies and management teams that have brought dozens of new products to patients, and by so doing have helped us generate industry-leading financial returns for our investors. Antios Therapeutics is a bio-pharmaceutical company devoted to the development of innovative therapies for viral diseases. With an experienced and proven leadership team, the company is focused on the development of its lead oral drug candidate for a potentially curative treatment of Hepatitis B (HBV) infections. Antiva Biosciences Inc. is a clinical-stage biopharmaceutical company developing novel, topical therapeutics for the treatment of diseases caused by HPV infection. Pharmasset Inc. was acquired by Gilead in 2011 for $11 billion for their oral therapeutics for the treatment of hepatitis C virus (HCV) and human immunodeficiency virus (HIV). Lumira was an early investor in MAKO Surgical Corp. prior to its IPO and later when it was acquired by Stryker for $1.65 billion in 2013 for its minimally invasive robotic surgical arm for partial knee and total hip arthroplasty. Corus Pharmaceuticals Inc., developer of Aztreonam for treatment of cystic fibrosis and Lidocaine for treatment of oral corticosteroid dependent asthma, was acquired by Gilead in August 2006 for $365 million. Ception Therapeutics Inc. was acquired by Cephalon Inc. in March 2010 in a deal worth $350 million plus significant future millstones. Cephalon Inc. was subsequently acquired by Teva in 2011. KAI Pharmaceuticals Inc., developer of novel therapeutics for kidney disease, was acquired by Amgen in 2012 for US$315 million. Alveolus Inc. developer of next generation non-vascular interventional stent technology for use in the lungs, was acquired by Merit Medical Systems Inc. in February 2008. Lumira Ventures led a PIPE in Depomed Inc. in 2003 and fully exited in 2006 after the FDA approved the company’s two lead products in 2005. Guava Technologies Inc. was acquired by Millipore Inc. in February 2009. From the time we invested in 2002 to our exit in 2006, ISTA Pharmaceuticals Inc. launched 3 products in the United States to treat diseases of the eye. Morphotek Inc., developer of therapeutic antibodies for the treatment of cancer, inflammatory and infectious diseases, was acquired by Eisai Inc. in April 2007 for $325 million. Resonant Medical Inc., developer of 3D ultrasound image-guided radiotherapy products, was acquired by Elekta in May of 2010. Aurinia Pharmaceuticals Inc. is a clinical stage pharmaceutical company focused on the global nephrology market. Its lead drug, voclosporin, is a novel calcineurin inhibitor being developed for the treatment of Lupus Nephritis. Spinal Kinetics, developer of artificial discs for degenerative diseases of the spine, was acquired by Orthofix in March 2018. Automated Breast Ultrasound company, U-Systems Inc., was acquired by GE Healthcare Limited in November 2012.  Bardy Diagnostics Inc. (“BardyDx”) is an innovator in digital health and remote patient monitoring, with a focus on providing the most diagnostically-accurate and patient-friendly cardiac patch and other monitors to the industry. BAROnova Inc. is developing a novel, non-surgical device for the treatment of obesity. It consists of a TransPyloric Shuttle device that is inserted into the stomach using a simple, 10-minute endoscopic procedure. Cardiac Dimensions Inc. is developing a minimally invasive implantable product to treat mitral valve regurgitation associated with congestive heart failure. CARROT Insights Inc. is a global social enterprise with the aim to build innovative national reward platforms which can support behaviour shifts on a mass scale. Celtaxsys Inc. is a clinical-stage drug discovery company developing novel immuno-modulators as treatments for serious inflammatory diseases, including cystic fibrosis and severe acne. Corvia Medical Inc. is a private medical device company based in Massachusetts developing a catheter-delivered implant for treating diastolic heart failure. Edesa Biotech Inc. is a clinical stage pharmaceutical company that brings innovative new treatments for dermatological and anorectal diseases. Endotronix Inc., a digital health medtech company, is developing an integrated platform to provide comprehensive, reimbursable health management tools for patients suffering from advanced heart failure. Engage Therapeutics Inc. is focused on epilepsy patients suffering from uncontrolled seizures with what could be the first rescue treatment with the potential to stop their seizures. enGene Inc. has a novel proprietary method to deliver therapeutic proteins to the gastrointestinal (GI) tract to treat diseases of the GI tract. Exact Imaging is the world’s leader in high-resolution micro-ultrasound systems enabling real-time imaging and guided biopsies for prostate cancer. Forbius is a clinical stage company that designs and develops biotherapeutics for treatment of cancer and fibrosis. Gladius Pharmaceuticals Inc. is a Montréal-based biotechnology firm focused on the discovery and development of dual function, beta-lactam antibiotics for the treatment of multidrug-resistant and bacterial infections. G1 Therapeutics Inc. is a clinical-stage pharmaceutical company focused on the discovery and development of novel small-molecule therapies to address significant unmet needs in oncology. HistoSonics Inc. is a private medical device company whose mission is to redefine cancer treatment with a non-invasive, highly precise, cost-effective method of tumor destruction call Robotically Assisted Sonic Therapy (RAST™), based on the science of histotripsy. KalGene Pharmaceuticals Inc. is a pre-clinical stage company focussed on the development of precision medicine therapeutics to slow the progression of Alzheimer’s disease. KisoJi Biotechnology Inc. is an early stage biotechnology company engaged in the development of antibodies for the treatment of various cancers. Medexus Pharmaceuticals Inc. is a leading specialty pharmaceutical company with a strong North American commercial platform. Medexus is focused on the therapeutic areas of auto-immune disease and pediatrics. Opsens Inc. is a fiber optic sensors manufacturer offering solutions for interventional cardiology Fractional Flow Reserve (FFR) as well as solutions for oil and gas industrial applications. Based in Montreal, OsteoQC is developing new drug candidates for the treatment of bone-related diseases. Satsuma Pharmaceuticals is a clinical-stage biopharmaceutical company focused on developing STS101 as an important and differentiated therapeutic option for the acute treatment of migraine. Swift Medical Inc. is a leader in imaging technology and data analytics solutions for the healthcare industry. Swift Wound, together with Swift’s Metrics dashboard, represents a new generation in wound care management technology. Think Research developed cloud-based tools that empower clinicians to deliver the best evidence-based care to patients and drive better patient outcomes. Zymeworks Inc. is a biotherapeutics company that is developing best-in-class Azymetric™ bi-specific antibodies and antibody drug conjugates for the treatment of cancer, autoimmune and inflammatory diseases.